Forever Decorating! 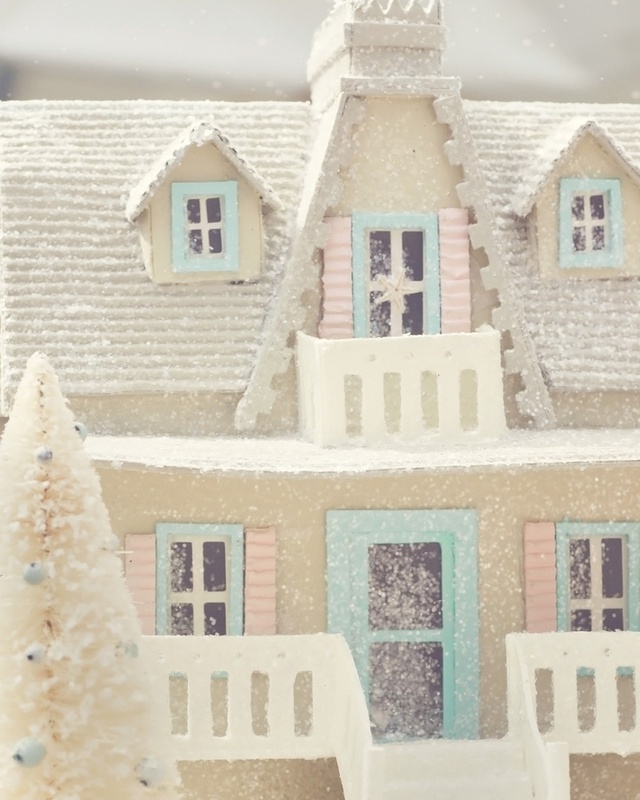 My Winter Putz Houses! This cute little a-frame cabin ornament is inspired by my love for vintage putz houses, plus my recent affinity for cardboard crafting. Before I dispose of food boxes from my pantry, I�ll usually consider if I can up-cycle it into a fun craft with the kids�or just for myself! 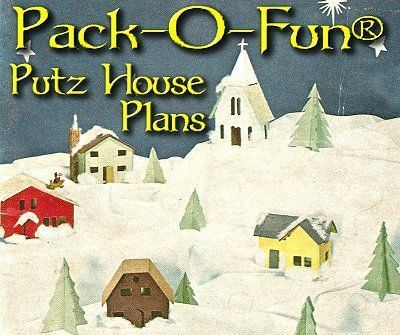 To make a basic Putz house, cut out all the pieces for the main house, the roof, and any porches or additions. The house pieces are folded at the ends of the roofs. Every year I make chip board Christmas Houses for my shop, so I was very excited to find that consumer Crafts sells tiny houses along with all kinds of fun miniatures to create a tiny little Holiday vignette with!